Never worry about power outages again! This Survival Radio offers combines 4 crucial needs into a single tool. 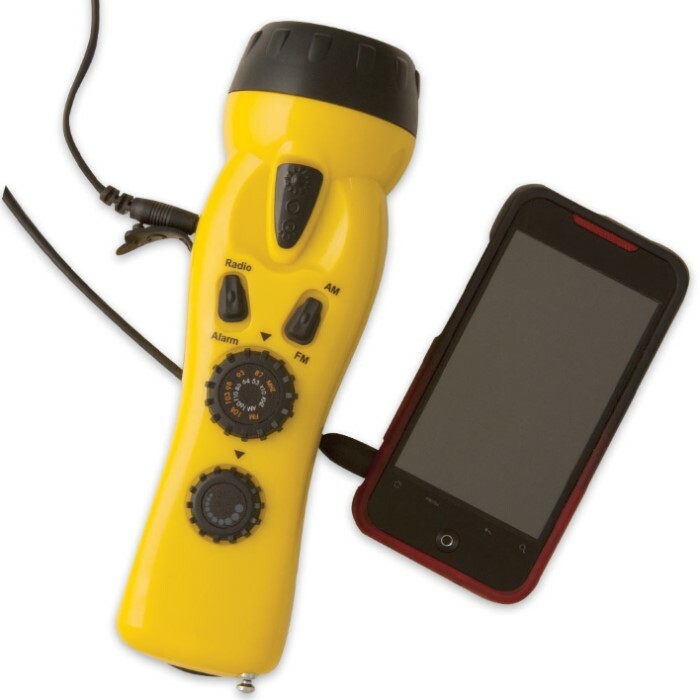 Tools include: Radio, Flashlight, Siren and phone/device charger. 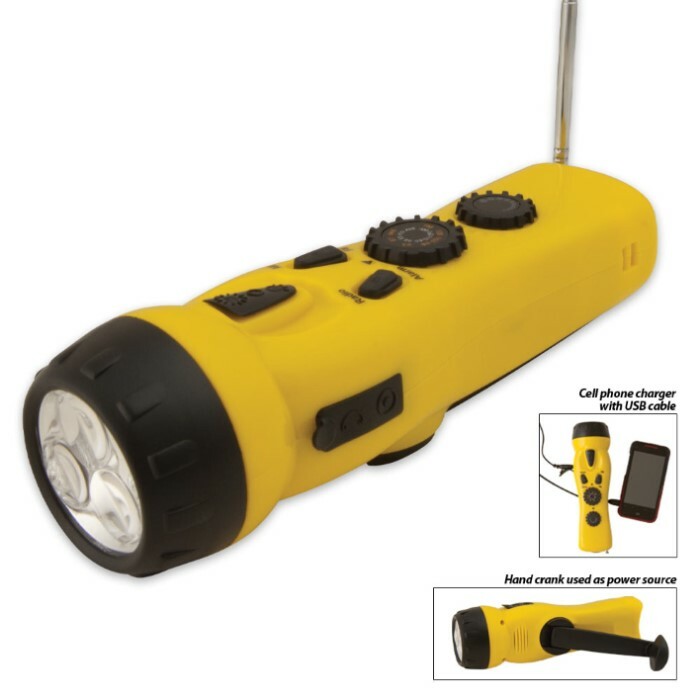 One minute of cranking will power the AM/FM radio for 8 minutes or 3-LED flashlight for 30 minutes. 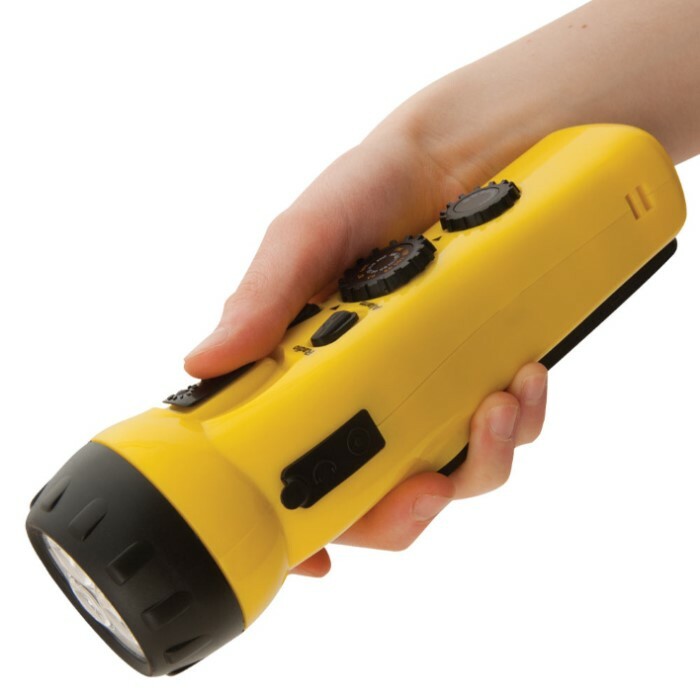 The flashlight offers 2 brightness settings for battery saving and the high-visibility yellow and black outer case is always easy to find even in low lighting. An extendable antennae ensures a stronger radio signal. It also offers an emergency shrill siren that is extremely loud, and a cell phone charging port that uses an included USB cable. Survival radios and device charges can play a critical role in keeping you in-the-know while camping, hiking, power outages and times of crisis.